Have skill and a passion for Apologetics? Impact your world by learning how to present I Don’t Have Enough Faith To Be An Atheist, Tactics, Stealing From God, Cold Case Christianity, God’s Crime Scene, and evidence from other outstanding presentations! In 2019, the Christian Cultural Center in New York City will host CIA at the Brooklyn campus on August 8-10. Why do we conduct the CrossExamined Instructor Academy (CIA)? As you know, 75% of churched youth leave the church after high school. Intellectual skepticism is a major reason they leave, much of which they get at college. This will be the last Christian generation in America unless the Body of Christ acts immediately. CrossExamined.org exists to engage primarily colleges, but also high school campuses and churches, with a reasonable and engaging case for Christianity. We do that by conducting I Don’t Have Enough Faith to Be an Atheist seminars at college, high schools, churches and other venues to which we are invited. Due to the magnitude of the problem, we are training a team of other qualified people to do this as well. That’s why we have established the CIA. What is the CrossExamined Instructor Academy? What is new about the 2019 CrossExamined Instructor Academy? In 2019 we are moving CIA to the Northeast! This year it will be held at the Christian Cultural Center Brooklyn campus. This is our first time holding CIA in the NYC area and our hope is that the attendees will be able to enjoy some time in the Big Apple while in town. Helping you improve your presentation skills is a central focus of CIA. The small class size and personal attention will also provide you with additional benefits including the opportunity to learn new content, go deeper into the arguments, and to ask questions of some of the best apologists in the world. We have some new faculty this year, including David Wood, an expert on atheism and Islam (David led Nabeel Qureshi to Christ). Watch David’s amazing testimony here. Since the CIA class is deliberately kept small, this will be a unique opportunity for you to be instructed personally by some of the world’s best Christian apologists. Don’t miss out. Apply now! CIA is not a course where beginners learn apologetics, but a place where those with a solid foundation have their skills deepened and sharpened. It is NOT necessary to have a degree in apologetics or philosophy, but you should have a good working knowledge of the material. If you have good presentation skills, that will help too (CIA will improve those as well). The Essentials: Don’t just read or listen, but study and outline our book, I Don’t Have Enough Faith to Be an Atheist. This can be purchased along with the 12-show DVD series called Why I Still Don’t Have Enough Faith to be an Atheist at impactapologetics.com. At that same link, you can get the student workbook and teacher workbook that goes along with the DVD set. Those workbooks are great for teaching the material to a class or small group, but the full I Don’t Have Enough Faith to Be an Atheist curriculum goes much deeper. You need the curriculum because it supplements and updates the book, even if you just use the workbooks to teach. Also read, outline and study Frank Turek’s new Stealing from God: Why Atheists need God to make their case, Greg Koukl’s Tactics: A Game Plan for Discussing Your Christian Convictions (the DVD version is available at STR.org), and J. Warner Wallace’s Cold Case Christianity. 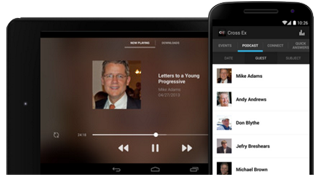 In addition, each week listen to the STR, William Lane Craig, J. Warner Wallace, and CrossExamined podcasts. -William Lane Craig: Hard Questions, Real Answers; God: A Debate Between a Christian and an Atheist; Reasonable Faith, On Guard. – Paul Copan: Is God a Moral Monster? – You also will need to be familiar with the works of the popular atheists such as Richard Dawkins, Sam Harris and Christopher Hitchens. During CIA, we are not going to present all portions of the presentation to you. We are going to spend more time helping you with presentation skills and how to answer questions. However, you will be asked to present a short portion of I Don’t Have Enough Faith to Be an Atheist. As a result, you’ll want to get the Why I still Don’t Have Enough Faith to Be an Atheist TV series on DVD and the PowerPoint from impactapologetics.com. Then practice presenting 15 minutes of it from any section of the presentation you want. (More details will come if you are accepted to CIA.). What happens after completing CIA? We would like you to present I Don’t Have Enough Faith to Be an Atheist wherever you can get invited—your church, youth groups, middle and high schools and anywhere else people will hear you. Bloom where you are planted! You will also become part of the CIA network of instructors that gives you exclusive access to our email forum where you can ask questions and exchange ideas about apologetics, Christianiity and related topics. CrossExamined is not a speaker agency–we don’t schedule speaking opportunites for you. However, we are looking for seasoned apologists that CrossExamined may call on to present I Don’t Have Enough Faith to Be an Atheist on college campuses or other venues. CIA will help us identify potential candidates, but attending CIA does not guarantee you will be offered such opportunites. If after attending CIA you are interested in speaking when such opportunities arise, then you may submit your name for consideration. When is the next CIA training program? August 8-10, 2019 in Brooklyn, NY. To be notified of this and future CIA programs, join our mailing list. Click here to apply by June 15, 2018. You may not hear from us about your application status until after we close this process. Tuition for the three-day program is $795. Graduates of previous CIA classes may attend for $400. This fee includes course notebook, lunches each day, dinner one night, and the non-refundable application fee of $25. See application above for details and the possibility of financial aid. Transportation to and from CIA, and while in the area, is the responsibility of the attendee. Click here to book your room. The Group Code is CE1. * You are not required to stay at our preferred hotel. The rate is $208.90/night including taxes and fees. A list of restaurants in the area will be added soon. If you have any questions, please drop us an e-mail at JGil@crossexamined.org or contact us via the Contact page. We hope to see you at our next CIA training program!